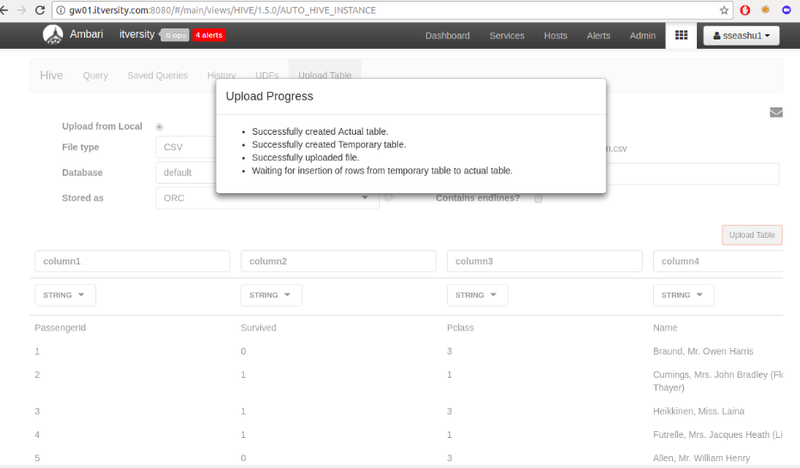 I am trying to upload a table into Ambari. I go to Hive view. I select ‘Upload from Local’. File type is csv. Then I go to ‘Select from Local’ and browse for the file. 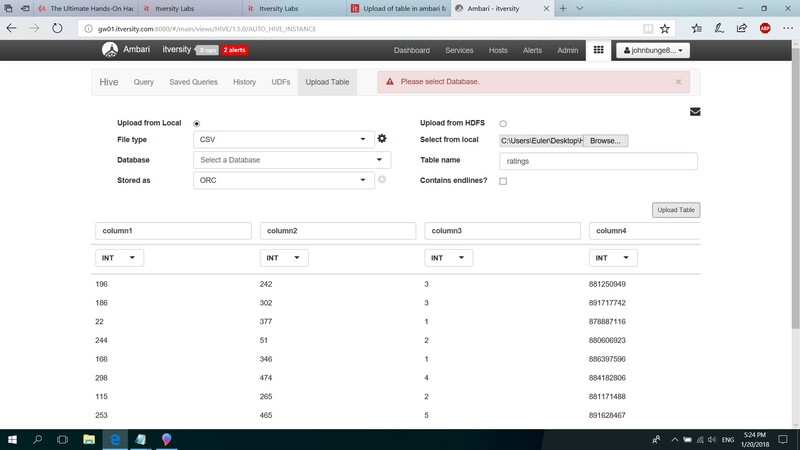 The data then appears as a table, but when I click on ‘upload table’ I get eh alert ‘Please select database’, which, however, I am not able to. @johnbunge Please try again and share screenshot. I was able to upload table into default database as well. I am getting the same issue. An idea how to solve it? @fadythebassist Please try now to upload tables from Ambari. Fallow the below flow and you will be able to upload tables. Let us know if you are facin any issues.